Colin McLeod is a Senior Fellow at the University of Melbourne’s Faculty of Business & Economics and a professional Company Director. 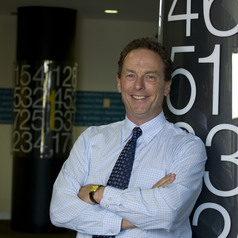 Colin was previously an Associate Professor at Monash University and was General Manager – Marketing, Communications and Public Affairs at the Australian Football League, having joined the AFL from the position of Executive Director, Marketing and Brand Management at Goldman Sachs JBWere, following several years as Group Marketing Manager for Telstra’s Mobiles division. He joined Telstra after an academic career including appointments at the University of Melbourne, the Melbourne Business School and the Haas School of Business at the University of California – Berkeley and he has also been a Senior Associate of the Judge Business School at the University of Cambridge. Colin holds a BA, an MBA and a PhD, with the Commercialisation of Innovation as the topic of his doctoral thesis. His academic research in marketing, retailing and public health has been published in major international journals, including the Journal of Retailing which is regarded as one of the top 5 journals in marketing globally. Colin is a Director of several private companies involved in technology development, financial services and health services and he has also acted as an Expert Witness in a number of cases concerned with advertising and branding, including a recent Federal Court hearing. He also serves as a member of the Executive Committee which has raised almost $200 million to construct the Olivia Newton John Cancer & Wellness Centre at the Austin Hospital, a member of the AFL Research Board and is currently a member of the Advisory Council of the Harvard Business Review.